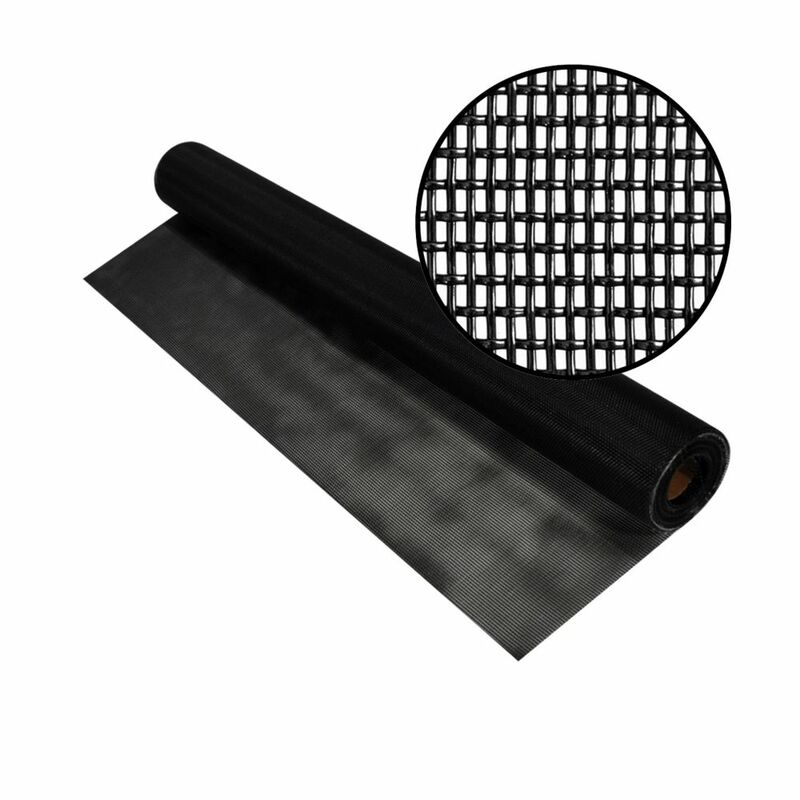 60-inch x 50 ft. Black Pet Screen This heavy-duty, pet-resistant insect screening is seven times stronger than regular insect screening and has many uses. It is ideal for screen doors and porches where extra strength and protection is desired. It is an excellent choice for high traffic areas where pets come and go. 60-inch x 50 ft. Black Pet Screen is rated 4.9 out of 5 by 15. Rated 5 out of 5 by Janet from We built a catpatio for my several rescue cats and... We built a catpatio for my several rescue cats and the product exceeded my expectations, very strong, good quality and it doesn’t block the outside/inside views. Rated 5 out of 5 by gerry from Product works I screened in my front porch for my cats and the two 6 months old kittens are still climbing things. Once in a while they climb the screen and it does not get damaged. The pet screen works. I know the screen will last until they pass their crazy kitten stage. Our dog likes it too. Rated 5 out of 5 by Richard from It worked great and easy to maneuver! Highly recommend!... It worked great and easy to maneuver! Highly recommend! Rated 5 out of 5 by Dale69 from Great service Screened Muskoka room, installed pet screen to keep critters out and our critters in. Rated 5 out of 5 by MikeH from Easy to work with & resists cat claw marks well.... Easy to work with & resists cat claw marks well. Rated 5 out of 5 by Michael from This product was as advertised, easy to work with but... This product was as advertised, easy to work with but still rugged.